These tips will help to ensure you have prepared good job references. In an ideal world, you should have six references. I know that sounds like a lot, and it's true that few, if any employers will want to call six references. Typically they call three people (so you need at least three references), but there are some good reasons why it's helpful to be prepared with six good job references. Depending on the preferences of different employers, they may ask for personal references, business references or some combination of personal and business references. If you have three personal references and three business references, you will never be stuck in a situation where you have provided one type of reference, but the employer would prefer a different type of reference. Also, if the employer has difficulty contacting one of your references, he or she may try contacting someone else if you have provided a couple of additional references. That can sometimes speed up this step in the hiring process. Who can I ask to provide a reference for me? Above all, ensure that the people on your reference list are people who will say good things about you. Ideally your references should include supervisors or human resources staff from previous jobs. Your reference list may also include co-workers, and, depending on your profession, clients or customers. If you've completed an internship, placement or related volunteer work, you could include supervisors from any of these activities, and if you've recently completed some training, your teachers can often provide good job references for you. What if my best references are difficult to reach? If your best reference, for example your supervisor from your last job, is difficult to reach for any reason, provide as much contact information as possible (with the permission of your reference, of course). Perhaps the employer who is calling your references will have better luck contacting your reference on a cell phone or through email. Let the employer know that this person may be difficult to reach, and provide an alternative person to contact if possible. If your reference has indicated a time that is best to contact him or her, let the employer know this as well. What should I do if I'm not sure whether a previous employer will provide a good job reference for me? If you are uncertain about whether someone will provide a good reference, do your best to avoid including that person on your reference list. Consider whether there's anyone else in a management or supervisory role at that company who could provide a reference for you. Perhaps you are not confident that the company manager will provide a good job reference, but you are certain that you'd get a glowing reference from the assistant manager who also supervised your work. In most cases, a glowing reference from an assistant manager is preferable to a mediocre or bad reference from the manager. If you are frequently getting to the interview stage of the hiring process and you've ruled out the possibility that you are not answering interview questions well, but you're not getting job offers, you need to question whether one of your references is saying something that's not favorable. Occasionally I've had clients in this situation who asked professional sounding friends to call their references and find out what they were saying. If they determined a reference was not saying positive things, that person was quickly removed from the reference list. What can I do to prepare my references? Never ever include people on your reference list without asking their permission first. It is very difficult for someone to give a good job reference for you is they are completely taken by surprise by an employer calling to do a reference check. Also, it's just bad job search etiquette to include a person on your reference list without asking for permission, you'll very likely leave that person with a bad feeling about you. 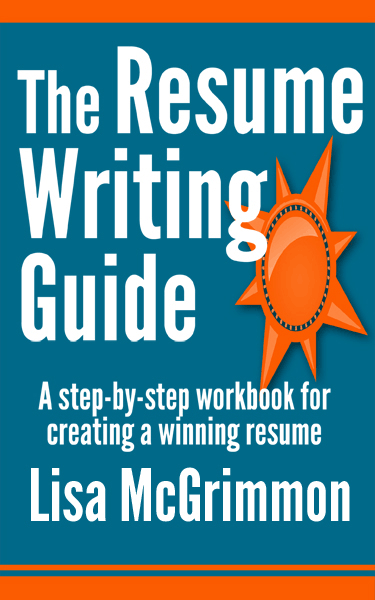 Provide your references with a copy of your resume so they will be clear about all aspects of your work experience. Also, when you've attended an interview, contact all of your references immediately after the interview. Let them know the name of the employer who may be calling to do a reference check, the responsibilities of the job that you interviewed for, and (if it feels appropriate) anything in particular that you'd like your reference to highlight during the reference check. What should I do if my previous employer has a policy that states they do not provide references? Many employers have this policy in place. They will not comment on the quality of your work, but they will confirm that you held a particular job at that company for a specific period of time. If your previous employer had that type of policy in place, let your potential new employer know about the policy and note that he or she can contact your previous employer to confirm your job title and dates of employment. It is not at all uncommon for employers to have this type of policy in place, so it should not be a cause for concern to your potential new employer. You will, however, need to find references who are able to discuss the quality of your work. What should I do if a previous company no longer exists and I have lost contact with everyone who used to work there? It is good practice, whenever possible, to ask for a reference letter any time you leave the company, so you'll always be able to provide some type of reference even if you lose contact with former colleagues. If you do not have a reference letter, and you've lost contact with everyone at a particular company, explain the situation to the employer who will be conducting the reference check, and be certain to provide good job references from other employers. Do employers prefer written reference letters or telephone references? Some employers prefer reference letters, some prefer telephone references, and some never do a reference check. Some employers completely forego the reference check as part of the hiring process. They feel that you will only provide written or telephone references that are positive, so they don't believe that this step in the hiring process is useful for gathering unbiased information about you. Some employers prefer written references because it's a lot easier to read your reference letters than to personally contact all of your references. Employers who prefer telephone references typically feel that written references are biased. You've had a chance to read the reference letters, and you will only provide a written reference if it is positive. These employers feel that it is possible to get good information about you as an employee by speaking with your references and are, therefore, willing to put in the time it takes to contact your references. You never know what an employer will prefer when it comes to checking job references, so it's smart to be prepared with both kinds (written and telephone) of good job references. Here are more tips on preparing good job references, and a reference page template.